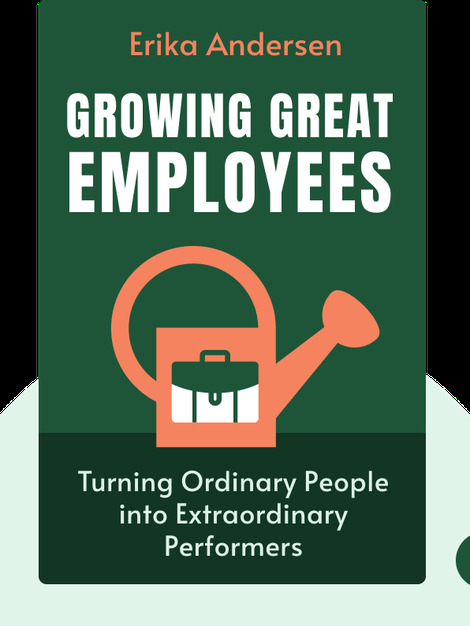 Growing Great Employees (2006) is about coaching, management and leadership. 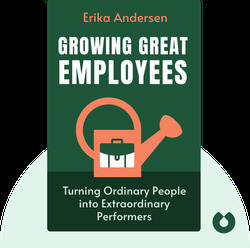 Using gardening as metaphor that runs throughout the book, consultant and CEO Erika Andersen cleverly explains how to successfully develop thriving and productive employees. Erika Andersen is a founding partner and CEO of Proteus International, a coaching consultancy that advises top executives on the best management and leadership techniques. Anderson is also an international speaker and has been featured in the New York Times and Fortune magazine.